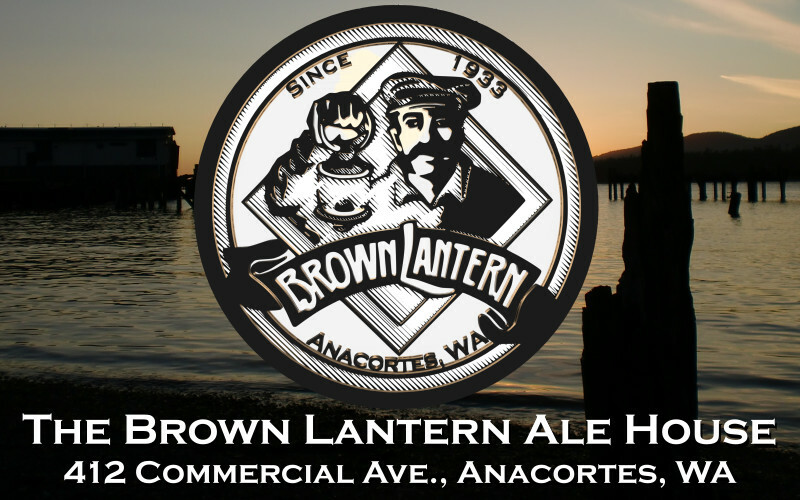 DO YOU WANT YOUR BAND TO PLAY AT THE BROWN LANTERN ALE HOUSE? We DO NOT tolerate destructive or abusive behavior to our performers, venue, staff, or customers from anyone at any time. Our Motto is "Be Nice or Leave". We DO NOT feature cover bands. The occasional cover song is OK, but originality is our goal. We also avoid Heavy Metal, Midget Wrestling, Sideshow & Circus Acts, Poetry/Spoken Word, Dance, Mime, and Performance Art. We DO NOT charge a cover fee to our customers. Therefore, we pay a flat fee to bands, and never a percentage. A Tip-Jar and Merchandising area is provided and you keep 100% of all your merch sales. We DO include a food and beverage credit for paid performances, redeemable on the night of your show. We DO design and print posters for your show at our expense, and list your show in various newspapers around Skagit and Whatcom Counties. We also include you on our Facebook and the front page of this website. We DO try to treat musicians as equals, as it seems that many of our staff are afflicted with this particular condition. We DO try to start shows promptly at 9:30pm, so bands should arrive by 8pm if they are eating before playing, and be packed in by 9pm. We DO have a 4-channel PA system with 2 overhead speakers. You are responsible for your own instruments, amplifiers, monitors, microphones, cables, guitar picks, and all stands. We DO serve dinner from our full menu until 10pm, and therefore have customers eating as late as 10:30pm or thereabouts, so the really loud stuff has to wait until Set #2. We DO want your band to do 2 sets, ~1 hour each with a ~20 minute break in-between. Midnight (roughly) is our cut-off for music. Encores are optional. We DO stay open on weekends until 1am, and bands need to be packed out by then. Our House Band: "The Kitchen Kittens"